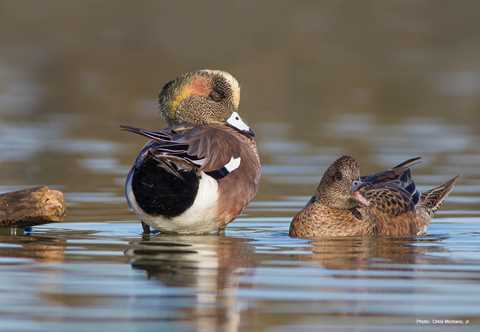 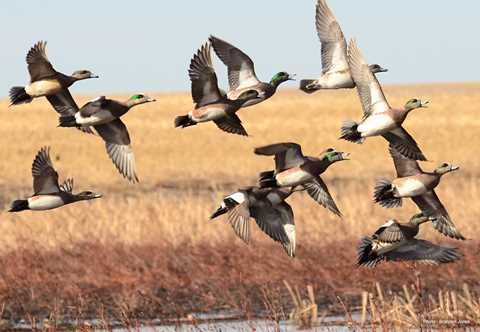 American Wigeon nest farther north than any other dabbling duck with the exception of the northern pintail. 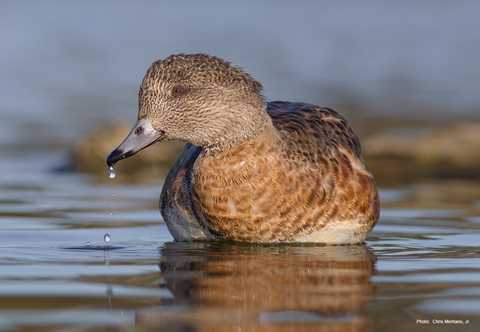 They breed throughout northern Saskatchewan, Alberta, Manitoba, Alaska, and the Northwest Territories. 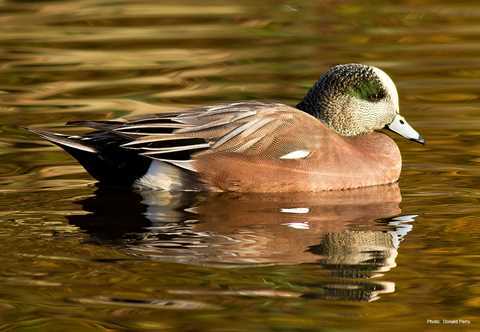 American wigeon prefer shallow lakes and marshy sloughs that are surrounded by dry sedge-lined meadows and contain submergent vegetation. 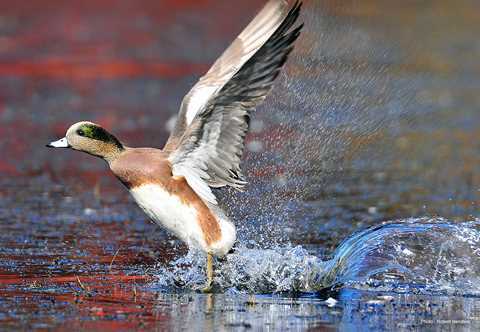 Female American wigeons lay an average of 9 eggs. 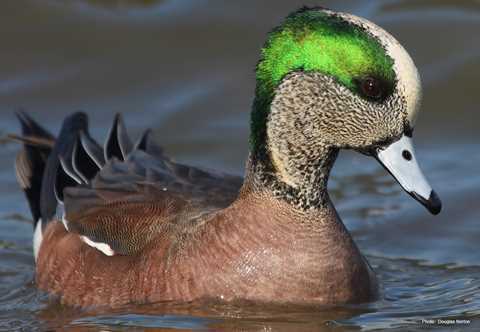 The American Wigeon can be found all over North America. 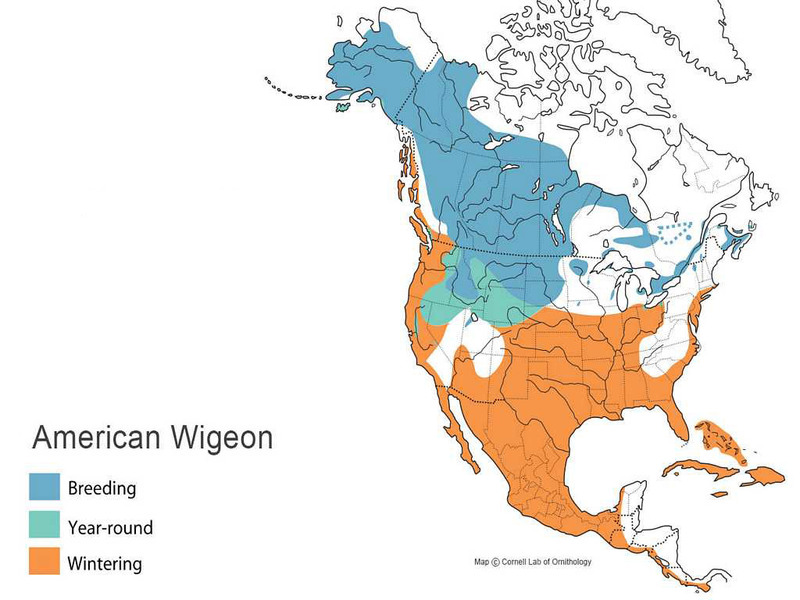 Their breeding grounds stretch from Alaska across the tundras of Canada all the way to the Atlantic Ocean. 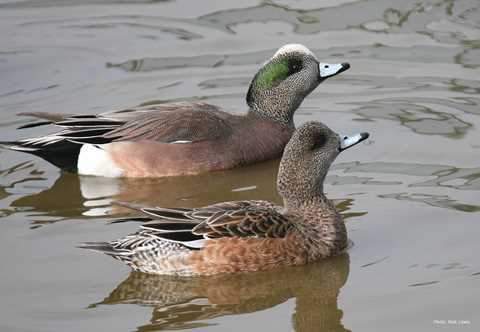 The American Wigeon can be found in their wintering habitats from the American Northwest to central Mexico, from the southern prairie pothole region through the Gulf Coast and from New York to the Bahamas close to the Atlantic shoreline.